The Horse Trust - "Leo"
When Leo retired from the Household Cavalry after a distinguished career as a drum horse, it seemed he could look forward to a life in clover at The Horse Trust's Home of Rest for Horses in Berkshire, UK. But the 17.2hh (178cm) piebald shire gelding had developed very dry skin. In fact, he scratched so much that he rubbed off nearly all his mane. Staff at the home, which provides lifetime sanctuary for more than 100 retired horses, ponies and donkeys, treated 27 year old Leo, with anti-itching injections, but his coat was still very dull. Adding Farrier's Formula, a supplement designed to strengthen the hoof, improve the coat and ensure healthy connective tissue, to his feed soon put the gloss back on Leo. "We're really delighted by Leo's progress," says Karen Zetsche, Life Data Labs' European Sales Representative. Life Data Labs, Inc. has been manufacturing Farrier's Formula since 1979. "The Horse Trust does so much to help horses, not just those at the Home of Rest. It's the largest provider of equine welfare and horse research grants in the UK, and so it's a privilege for us to be able to help a little in return." Set among the rolling Chiltern Hills, The Horse Trust is the oldest horse charity in the world, originally established in 1886 to help the working horses of London. Today the trust is dedicated to the welfare of the horse worldwide, to scientific research, to the education of horse owners, riders and trainers and to the continuing care of the horses at its sanctuary. The trust depends on donations to fund its work and also relies on volunteers to help out in its offices, particularly in the busy pre-Christmas period. As a result of the credit crunch, the trust is more in need of donations than ever. Reduced income has forced a suspension of its grant programme, meaning that urgent research cannot be funded. 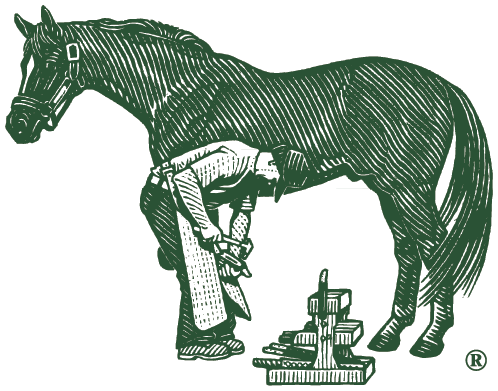 Farrier's Formula was created 30 years ago by Dr Frank Gravlee, founder of Alabama-based Life Data Labs, to promote healthy dermal tissue in horses. He tested blood collected from hundreds of horses to determine which nutrients were lacking in horses with poor-quality hooves. The supplement has been the number one recommended product by US farriers for 12 consecutive years.